Kenneth Sutherland Murray (1862-1935) Honorary Life Governor and Consulting Engineer of the British Oxygen Co.
1862 Born at Geanies Fearn, Ross-shire. He received his education at Merchiston School, Edinburgh, and served his apprenticeship in the Crewe locomotive works of the London and North Western Railway Company, where he worked from 1880 to 1883. After some months spent in the study of engineering at University College, London, under the late Alexander Blackie William Kennedy, he moved to Brighton and became a draughtsman in the works of the London, Brighton and South Coast Railway Company. Later, he spent some time with Moorewood and Co., of Birmingham, and gained additional locomotive experience at Glasgow. In 1889, about three years after he had joined Brin's Oxygen Company, Mr. Murray became its works manager and engineer, and it was largely owing to his inventive genius that the old Barium process was rapidly transformed into a completely automatic system. Those who wish to know something of the actual machinery used in these processes may be referred to two papers read by Mr. Murray. In 1890 he elected a member of the Institution of Mechanical Engineers and in the January of that year he read paper before the Institution on " Mechanical Appliances Employed in the Manufacture and Storage of Oxygen," in which both the manufacturing methods employed and the high-pressure cylinders used for storing the gas were discussed. KENNETH SUTHERLAND MURRAY will be remembered for his achievements in making oxygen gas a commercial product. His efforts in this direction occupied almost the whole of his professional career, and covered a period of nearly fifty years. He was born at Geanies, Ross-shire, in 1862, and served a three years' apprenticeship, terminating in 1883 at the Crewe works of the London and North Western Railway, after which he studied engineering at University College, London, under Sir Alexander Kennedy, M.I.Mech.E. (Past-President). In 1884 he joined the London, Brighton and South Coast Railway as a draughtsman. Two years later he began his work on the production of oxygen, following his appointment as assistant engineer to Messrs. Brine Oxygen Company, of Westminster. At that time oxygen was produced by the barium oxide process which, though invented about 1860 by Boussingault, did not become a commercial success until taken up by the brothers Brin. Mr. Murray, however, developed a different process, though still using barium oxide, after considerable research. He was promoted to be works manager in 1889 and subsequently perfected a completely automatic process for oxygen production. Additional works were erected in Manchester, Glasgow, and Birmingham, and the title of the firm was changed to the British Oxygen Company, Ltd. Associated companies were formed abroad as the demand increased and plants were erected in Paris, Berlin, and New York. Mr. Murray played a leading part in the invention and application of oxy-acetylene blowpipes for cutting metals, and in the design of the necessary regulating valves. This process required oxygen of higher purity than that then produced commercially, and in 1906 he successfully negotiated a working agreement between the Linde and British Oxygen systems, of which the former had been developed by Professor Carl von Linde for the manufacture of very pure oxygen, using the liquid air process. 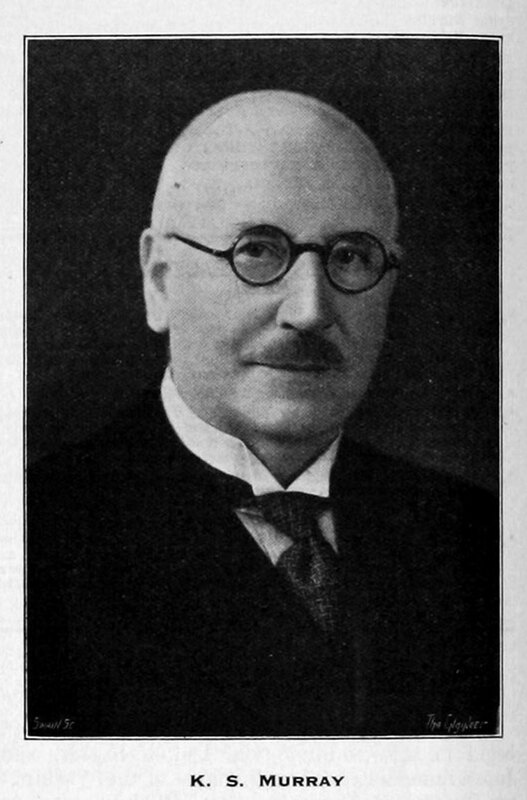 About this time Mr. Murray became managing director of the company and subsequently he also became chairman, holding these positions until his retirement in 1933. He was then appointed honorary life governor and consulting engineer to the firm, and took an active part in its affairs until his death, which occurred at Geanies, Ross-shire, on 8th August 1935. Mr. Murray was elected a Member of the Institution in 1890. In the same year he read an important paper before the Institution, on "Mechanical Appliances employed in the Manufacture and Storage of Oxygen," and he also contributed papers on industrial methods for the liquefaction of gases before other technical institutions. He took a keen interest in the employees of his firm, and founded a welfare fund for them and their dependents. This page was last edited on 12 June 2015, at 13:14.